The legal team at Worby Groner Edelman, LLP has helped countless clients in and around White Plains during their time of legal need. Our attorneys are highly skilled, offering expert counsel during lawsuits for serious auto accident and motor vehilce collisions. Some of the most severe auto accidents on the road involve large commercial truck collisions. This is especially the case with 18-wheelers. When a large truck is on the road, it can be a hazard to everyone who is driving or near the vehicle. The amount of force that is generated from a large truck in a collision is tremendous, and many times when a large truck accident occurs, it can result in catastrophic and even fatal injuries. There are many reasons why these accidents may occur, and much of the time the causes of the accidents are related to the nature of the large trucks themselves. A large 18-wheel truck has many blind spots simply given its size. This means that drivers adjacent to the vehicle are vulnerable to serious accidents, such as sideswipe collisions. When merging or driving near an 18-wheel truck, make sure that you are visible to the driver, or that the driver is somehow aware of your presence. Given the sheer size of an 18-wheel truck, it should come as no surprise that the stopping time and stopping distance for the vehicle can be considerable. It simply takes more time to bring the vehicle to a full stop given its mass. For that reason, it's important that drivers in front of an 18-wheeler take great care when slowing down or stopping. This is especially true in poor weather or when bad road conditions are present. 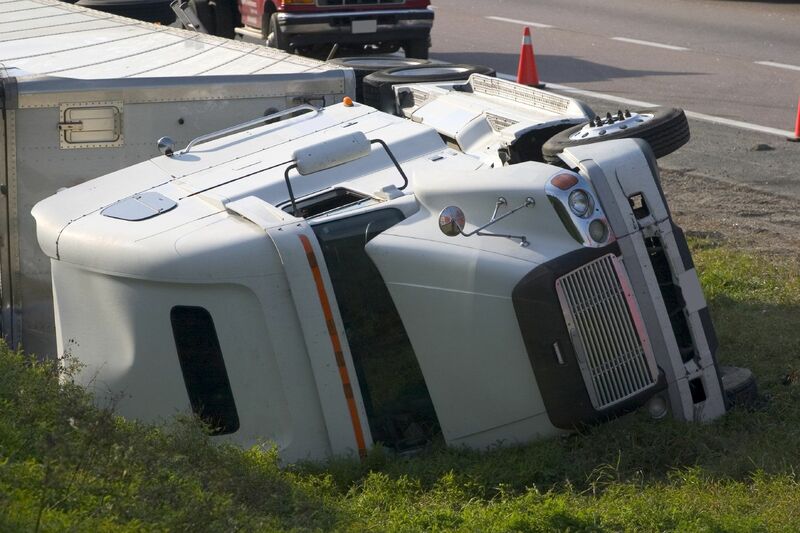 Jackknife truck accidents are among the most serious kinds of truck accidents there are. During a jackknife truck accident, the vehicle's trailer folds inward on the truck, moving into an adjacent lane and potentially causing serious harm to anyone nearby. The movement of the tractor relative to the truck is similar to a pocketknife. Many truck drivers suffer from serious issues of fatigue and exhaustion when they are behind the wheel. This is the result of the long hours that they have to pull while they are shipping goods and trying to remain on schedule. This can cause drivers to experience mental fogginess, fatigue, and poor decision making while behind the wheel. Sometimes the problem is with the truck itself, and the problem is one that may be quite dangerous. Defective tires, bad brakes, poor steering, or a host of other issues may result in a more dangerous/deadly truck on the road, one that is more prone to accidents or more likely to be involved in a deadly collision of some kind. For more information about your legal options following a serious accident involving a large truck, be sure to contact our personal injury law firm today. The attorneys of Worby Groner Edelman, LLP will help ensure that you receive strong legal representation.